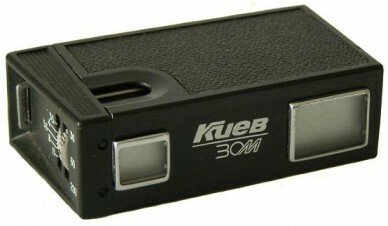 Identical to Kiev-30, but without flash sync or calculator disk. Kiev-30M logo (in Cyrillic) silksreened on the frontplate . Thanks to Rimvydas Baranauskas for the donation. 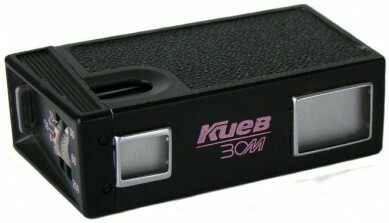 Quite uncommon to find version of Kiev-30M camera. All markings on body silkscreened with purple colour, instead of regular white one. No visually otherwise diferent. 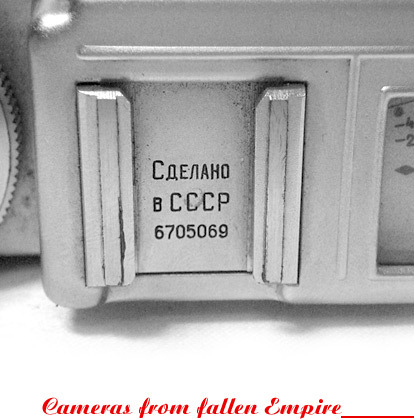 Camera opposite from Evgeniy Alexandrov (Russia) collection.